The first permanent version of the Mackmyra distillery, Bruks Whisky is a high-quality Single Malt with a great sweetness. 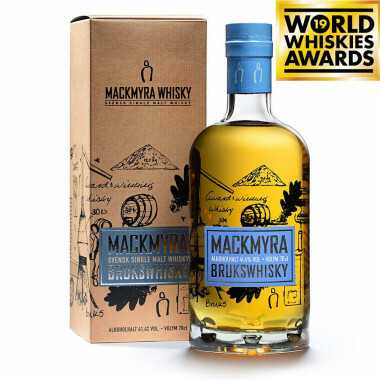 Awarded Best Swedish Blended Malt No Age Statement (NAS) at the World Whiskies Awards in March 2019. Launched in spring 2012, this first permanent version Bruks Whisky from Mackmyra Distillery is a very smooth Single Malt. the whisky aged in Bourbon cask which gave an aromatic palette dominated by gourmet notes of candy with pear, vanilla and marshmallow. Its profile is fine and rich with a fruity, balanced and very round development. A high quality Single Malt with herbaceous and spicy aromas of cinnamon, coriander, spearmint, vanilla and citrus zest. In 2011, Mackmyra opened a second distillery whose concept meets the most demanding standards of modernity and energy saving based on the law of gravity. Today, only this Gravity distillery is active and allows the development of a Single Malt racy with typically Swedish accents. Mackmyra proposes ever more daring assemblages and refinings (casks containing Swedish beer, cranberry wine, etc.). Nose: with finesse, it develops aromas of green grass, cinnamon, coriander, a hint of salt. it then expresses notes of vanilla, spearmint, castor oil, and clover. Gentle, the scents of precious wood, verbena, pepper, citrus zest (lemon, grapefruit) complete this first discovery of Mackmyra Bruks Whisky. Palate: very elegant while being racy, it allows to develop with strength the malted barley decorated with fresh and flowery perfumes, cut grass and nuts still green. The tasting is enriched with aromas of citrus fruit, fresh fruit, vanilla and extends over the spices. Finale: very long, it revisits the marriage of the aromas and is exotic over time by developing flavors of pineapple and pomegranate. 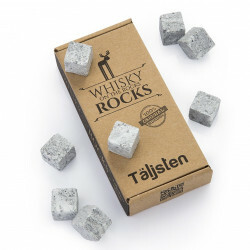 Awarded Best Swedish Blended Malt No Age Statement, World Whiskies Awards 2019.